Backhoe Rentals in Utah | Wheeler Machinery Co.
A backhoe loader rental from Wheeler Machinery Co. can offer many benefits to your Utah business. You get the advantage of having a reliable digging and trenching machine at your service exactly when you need it — without having to make a significant long-term investment. Renting also gives you the opportunity to try out a new piece of equipment before making a buying decision. Backhoe Rental Rates: Call 801-974-0511 for pricing or reach out to us online for more information. Like many Caterpillar® machines, you can add attachments in place of the backhoe bucket — anywhere from an auger and grapple to stump grinder and breaker. An auger can help with drilling holes, and a bucket is ideal for grading slopes. Asphalt cutters help repair roads, as well as sewer and gas lines. Attachment uses all depend on the job at hand, meaning you may require different accessories. Equipped with outriggers for extra stabilization, your backhoe loader can also withstand many weight capacities and movements. 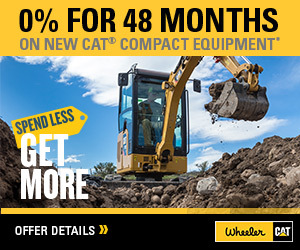 A backhoe loader rental from Wheeler is a cost-effective solution, whether you’re starting up your company or trying to find economical ways to boost productivity. As opposed to investing in a long-term commitment with new equipment, renting helps to eliminate the initial high investment. You also don’t have to worry about maintenance costs because our factory-trained technicians service each machine before it reaches your site, as well as when needed during work hours. Of course, the quality of the equipment you rent is essential. 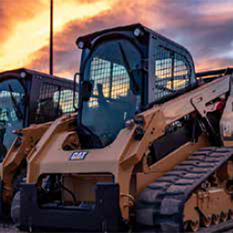 We offer an extensive fleet of Cat backhoes for rent in Utah that deliver the performance and productivity you’ve come to expect from the worldwide heavy equipment leader. You’ll find the late-model, low-hour backhoe you need with flexible renting terms. Rent for a day, week, month or even an entire year. Our hassle-free rental process ensures you can get your backhoe loader rental unit quickly, keeping unproductive downtime to a minimum. Throughout the state, Wheeler Machinery Co. has convenient locations to support you every step of the way. Our services continue even after your rent a backhoe in Utah with our parts, maintenance and services. Visit one of our locations to see how renting can increase your bottom line. We also serve industries in Nevada with a location in Ely. Wheeler strives to provide each client with superior quality rental solutions and attachments. We serve St. George, West Jordan, South Jordan and all of Utah! Our solutions are available to support your business’s success. Since 1951, Wheeler Machinery Co. has been providing backhoe rentals for all your jobs. Our flexible agreements help you remain efficient with little to no downtime. Plus, our relationship with you prolongs beyond the point of purchase while we offer parts, services and attachments. 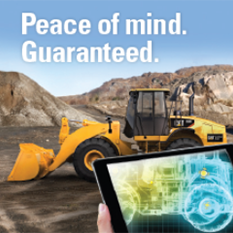 A backhoe loader rental from Wheeler comes with complete maintenance, too. You will enjoy a substantial reduction in your heavy equipment operating costs over time. Call a representative at 801-974-0511 to learn more about our pricing, or contact us online to understand the benefits of renting a Cat backhoe loader. You can also request a quote.